Vetiver is a not so commonly heard of, but quite often used ingredient in skin care products, perfumes and aromatherapy oils. In fact, it is estimated that 250 tons per year of oil distilled from the roots of the grassy Vetiver is produced across the globe. 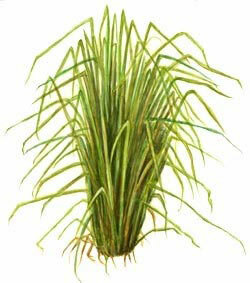 Vetiver is quite similar to other fragrant grasses like lemon grass, citronella and palmarosa. As an essential oil it has a sweet, woody, smoky, amber scent however this can vary quite a lot depending on where (climate and soil type) it is grown. It is used in roughly 90% of western perfumes as it has very good fixative properties - meaning its scent holds well with other elements. Have I mentioned its medicinal qualities yet? Vetiver has somewhat of a relaxing effect on the body and has been used in India and South East Asian countries for centuries to treat muscle aches, oily skin, rheumatism, depression, arthritis, exhaustion and insomnia. This non-fertile, noninvasive plant is also somewhat of a sustainability warrior, used by The Vetiver Network International to manage soil and water on large scale landscapes areas. The deep roots of the Vetiver hold soil in place and hold back sediment from flows. 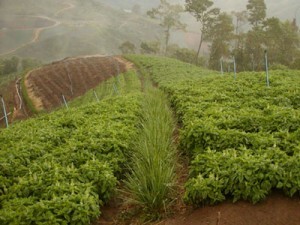 Planting Vetiver can help to stabalize and restore damaged land, protect areas from flooding, erosion control or prevent the contamination of domestic and industrial wastewater. Vetiver essential oil is a key ingredient used to create a beautiful fragrance blend for the So Organic range of products.